Posted September 27, 2014 by Connacht Tribune in News. Twizt Hydration; CloudDock and Pat Divilly Fitness have been announced as overall winners in the Ireland Best Young Entrepreneur competition for Galway with Pat Divilly Fitness named as Galway’s Best Young Entrepreneur. The companies were presented with their Awards by the Mayor of the City of Galway, Councillor Donal Lyons at a reception in the Local Enterprise Office this week. 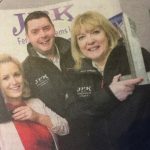 The Awards are part of the Local Enterprise Office overall aim to support and recognise young entrepreneurs as part of this national competition. The prizes worth €50,000 for Galway can be used to create new businesses and help existing businesses strengthen their product offerings to the Irish and export markets. The entrepreneurs and their businesses were judged on areas including: business plans; marketing strategy; finance; the use of technology and innovation in the business and the entrepreneurial skills of the business owner. Receiving the award for the Best New Idea category was Dara Lynch from Twizt Hydration. Twizt Hydration offers a comfortable hydration solution that can be used seamlessly during runs to aid hydration. This in-turn enhances performance and compliments the overall running experience. The recipient of the Best Start-Up Business was Cian Brassil of CloudDock. CloudDock acts as a universal adaptor for cloud storage companies making them compatible with each other. CouldDock offers a platform for users to share folders and works across services seamlessly. So, for example, a Dropbox user can work with a Google Drive user, without ever needing to have a Google Drive account or vice versa. The winner of the Best Established Business was Pat Divilly Fitness, which started as a small fitness class on Silverstrand beach in May 2012 and has quickly become one of Ireland’s most recognised health and wellness companies serving over 800 clients globally each month with his online presence. 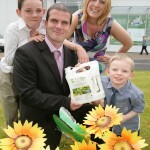 The business also operates a successful fitness studio in Barna. Twizt Hydration; CloudDock and Pat Divilly Fitness will represent Galway city and county at the Regional Irelands Best Young Entrepreneur Awards which will be held on October 29th. The National Awards will take place in December. 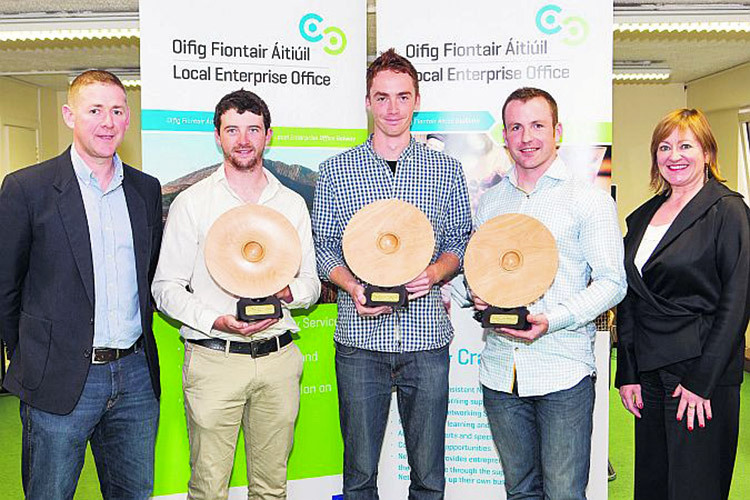 Pictured are Michael Fitzgerald, CEO OnePage CRM, with Dara Lynch of Twizt Hydration, Winner of Best New Idea; Cian Brassil of Cloud Dock, Best Start Up Business and Pat Divilly, Best Established Business and Overall Winner of Best Young Entrepreneur, Galway, joined by Breda Fox, Head of Enterprise, Local Enterprise Office, Galway. Photo Martina Regan.